A Hybrid ARM is a loan that is fixed for an initial period of time, and then converts to an adjustable rate mortgage. One of the most common is a 5/1 Hybrid adjustable rate mortgage which is fixed for the first 5 years and then converts to 1-year adjustable rate mortgage for the remaining 25 years. Also Available are 7/1 and 10/1 Hybrid ARM’s. Home Renovation projects can be financed and provide a great return on your investment. Not only you could be adding equity to your home but you will have many options to remodel your home. Whether it is hybrid arm loan, home equity loan, cash outs or personal loans. Check the appropriate home remodel loans for your situation and let Kukun match you with the right loan and right lender. Initial interest rate and payments are typically lower than 30-year fixed rate mortgage thus making payments initially more affordable. Initial fixed rate period longer than typical adjustable rate mortgage. If borrower expects to keep loan for short-term, or if the general interest rate market is expected to decline in the future, a Hybrid ARM may be less expensive than a fixed rate mortgage. Initial interest rate adjustment after fixed period, annual rate adjustments and maximum interest rate are capped. Loan pays off in full by the end of the term – no balloon payment at end. No pre-pay penalties or fees. Hybrid adjustable-rate mortgages are readily available from many sources in the market (i.e. Banks, Mortgage Companies, Savings & Loans, Credit Unions). Converts to an adjustable rate mortgage after initial fixed period – monthly payment will likely increase above initial fixed period payment. Interest rate and payments will change periodically after initial fixed period, and could rise substantially May exceed payment level of a fixed rate mortgage. Require good borrower qualifications – good credit, steady income and larger down payment/ more equity. Requires full principal and interest payment at current loan interest rate. 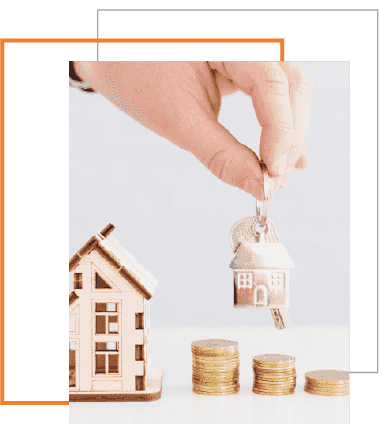 Requires larger equity percentage if borrower want to access equity via a Cash-out Refinance -limited to 80% of the value of the property less existing liens. Requires full loan application, borrower documentation and appraisal, and may take 30-45 days to obtain funds. Can not be used on properties currently under construction.